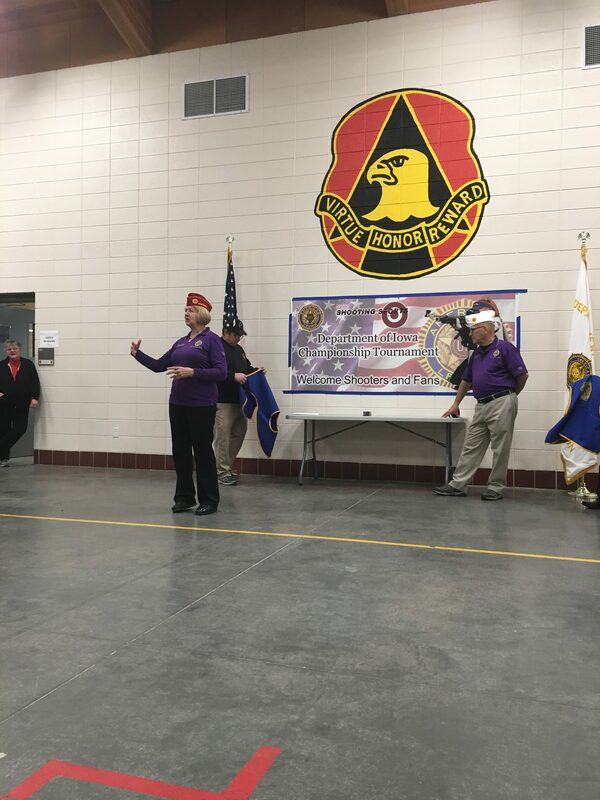 Each year, The American Legion of Iowa conducts a Department (State) Match, which provides competitors an opportunity to test their marksmanship abilities against other shooters throughout Iowa. It is a shoulder-to-shoulder competition and is open to all American Legion of Iowa affiliated shooting clubs (see affiliation standards below). The Department Match IS NOT a qualifying match for the National competition. To be eligible to shoot or enter a team in the Department (State) Tournament, an official club affiliation form must be on file by December 31. There is no target fee associated with the Department of Iowa Match. 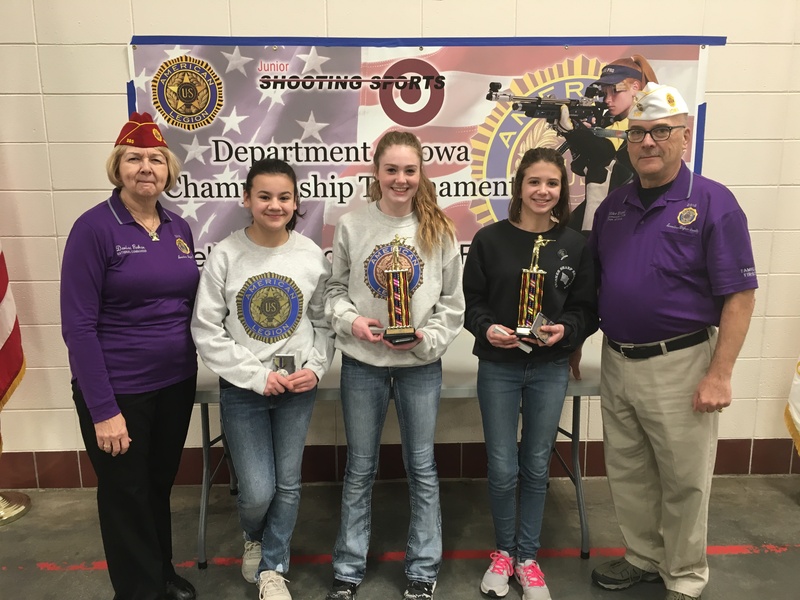 The American Legion of Iowa and Iowa Foundation awarded $1,000, $500, and $250 in scholarships to the top three shooters in the Sporter rifle category. The team trophy is awarded to the top four shooters from one shooting club, and a traveling trophy is awarded to the affiliated American Legion post that sponsors the team. 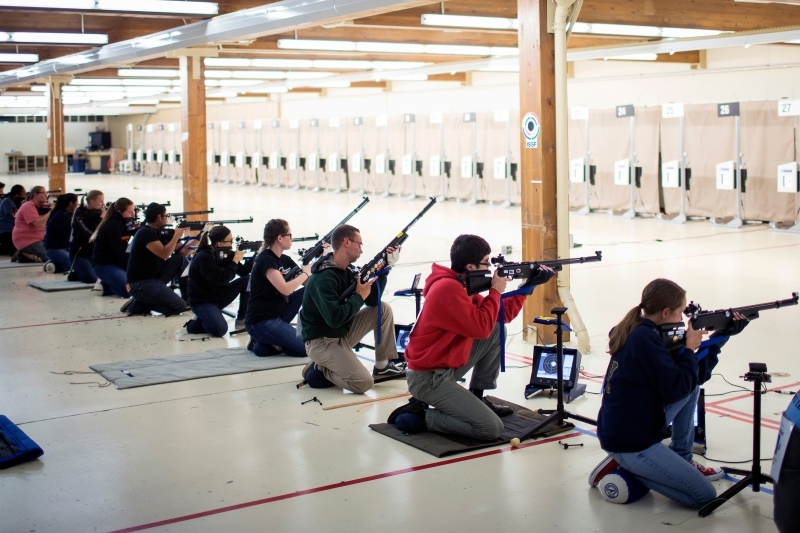 The American Legion Junior Shooting Sports Program encourages marksmanship and gun safety education for junior high and high school age youth. 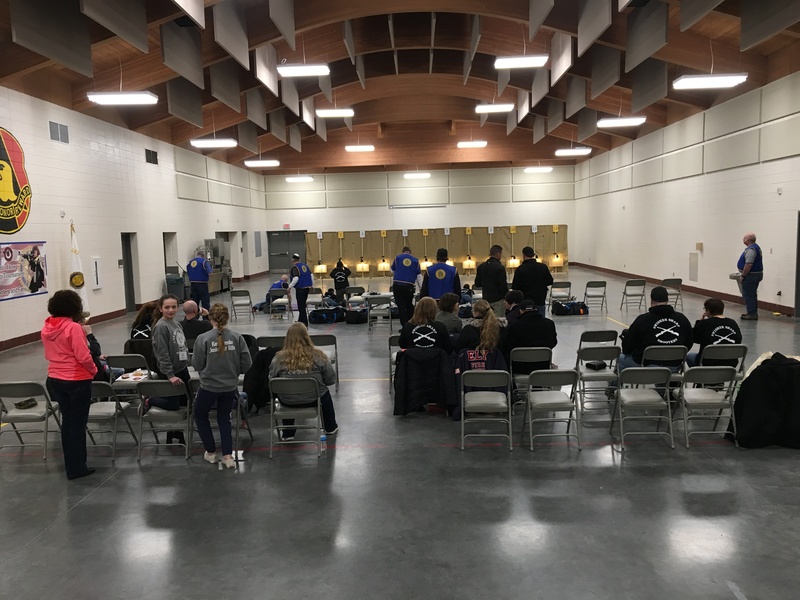 The American Legion of Iowa Junior Shooting Sports teams are given the opportunity to participate in two tournament level matches: A Department shoulder-to-shoulder match, and the National Postal Match. Both competitions follow the National Standard Three-Position Air Rifle rules. Age Category 1 are athletes who reach their 17th or 18th birthday in the calendar year of the competition. Age Category 2 are athletes who reach their 15th or 16th birthday in the calendar year of the competition. Age Category 3 are athletes who will not reach their 15th birthday in the calendar year of the competition. An official match bulletin is mailed to each American Legion of Iowa affiliated team in time to register their shooters. All equipment required for firing is the responsibility of the shooter/team. Coaches or parents of shooters need to register with The Civilian Marksmanship Program if not already done so, to receive a CMP registration number for the match. The CMP registration number is a free lifelong registration which tracks the shooter’s progression over the years. The CMP registration number is required for The Department Match. The American Legion of Iowa utilizes the 2016-2018 National Standard Three-Position Air Rifle Rules, 11th Edition, effective September 1, 2016. The American Legion of Iowa Match program governs the match. Iowa utilizes the Orion Scoring System, scanner, and targets at the Department Match. Orion uses the latest in scoring technology. Coaches, managers, and trainers should be aware that the targets used will produce a clear picture of each shot – without excessive tearing – if the pellet is expelled through a clean and properly maintained rifle bore. For more information on starting a Junior Shooting Sports Program, contact Department Headquarters at 800-365-8387 or email at programs@ialegion.org. The American Legion (National), holds a competition to determine finalists for The American Legion JSSP Match in Colorado Springs, Colorado, each year. This Match determines its shooters from two rounds of postal targets. Shooters – for a nominal target fee to National – are provided a set of targets and the manager/coach of the shooting team schedules the firing, in accordance with National guidelines, deadlines, and fees. An official American Legion Post member must be present when the targets are fired. Those targets are mailed directly back to the National headquarters to be officially scored, and the top shooters are sent a second-round qualifier set of targets, which determines the top shooters in the nation to be invited to The American Legion JSSP Championship in Colorado Springs. Please note that the Iowa Department Tournament Match IS NOT A QUALIFIER FOR THE NATIONAL COMPETITION, but participation is highly recommended. You must follow all National American Legion guidelines given to you when you order the target sets DIRECTLY through online registration on the National Legion website.